For the original article by Raquel Rolnik in Portuguese published on her blog click here. Within the past week, the Olympic plan for the city of Rio de Janeiro has revealed a strong ambiguity in the quality of large urban development projects. Investments in public infrastructure, transport and sporting facilities arrive at the same pace as regrettable episodes of basic human rights violations and disrespect for the human condition. In the West Zone of Rio, since December 15th, horror and tension have characterized the experience of countless families. Reports received from residents, on-lookers and the Public Defenders of Rio de Janeiro detail the abuse of power and state of exception which has been established along the edges of Av. das Américas, which cuts through the communities of Vila Recreio II, Vila Harmonia and Restinga do Recreio dos Bandeirantes. 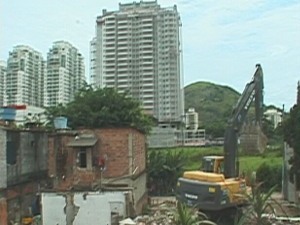 Without any previous opportunity for dialogue or negotiation, teams from the Mayor’s office of Barra da Tijuca including 40 Municipal Guards began removals and demolitions of homes and businesses in order to construct the TransOeste: a Bus Rapid Transit corridor that will link the South Zone to Barra, the region which will concentrate the majority of 2016 Olympic facilities. According to reports by residents, the bulldozers and tractors building the corridor would be demolishing furnished homes with belongings inside. On the 15th, some residents claim their houses were demolished while they were out working, while others say they had been given until midnight of that day to leave and make way for the machines, which came sooner. A team from the Land and Housing Office of the State of Rio’s Public Defenders’ Office was able to obtain an emergency injunction that suspended the forced removals. The Mayor’s officials had acted without a court order. However, the nightmare for the residents of these three communities is not yet over, since the injunction does not protect all properties. Not even the temples – sacred land to the Candomblé tradition, which have been installed there for decades – are safe. 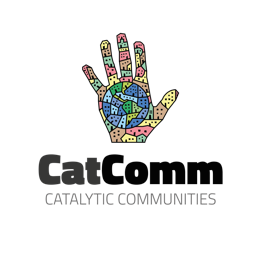 Residents and religious representatives held two demonstrations this month repudiating the way the City has been conducting Olympic works to the detriment of the rights and dignity of those that stand in the way of their projects. Overnight, between midnight on the 17th and early morning on the 18th, policemen broke into homes and forced residents to leave under threat of imprisonment. Many compared the scene to a battlefield: clothes, personal belongings and suitcases being thrown out onto the edge of the street where trucks and automobiles constantly race past, and now with no place to go. Not far from Recreio, the Olympic project is also underway, but in a less hostile tone. Earlier the same week, the city of Rio signed on with a conscruction company for the development of over 2,400 high-end housing units. They will comprise the Olympic Village in Barra da Tijuca and will later be commercialized for more than R$ 400,000 each. The total value assigned to the project is nearly one billion Reais and should receive funding from Caixa Econömica Federal (one of Brazil`s state-owned banks). The following video is an excerpt from a recording made one of these mornings in which the machines advanced over homes in the community of Restinga. Raquel Rolnik is an architect and urbanist, Professor of Architecture and Urbanism at the State University of São Paulo (USP) and UN Special Rapporteur on Adequate Housing to the UN Human Rights Council. This article was written by Raquel Rolnik, and published on December 27, 2010.